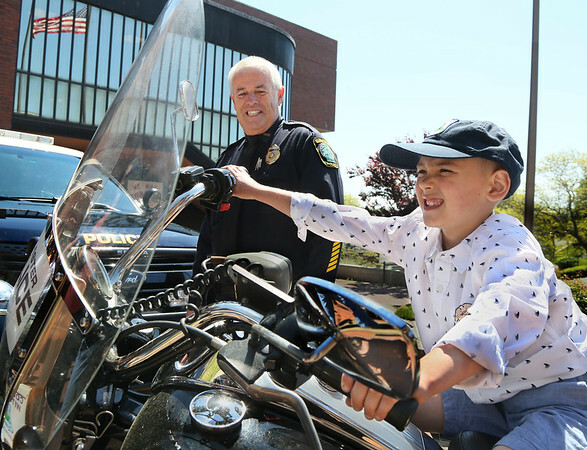 Six-year-old Mason Adams sits on a police motorcycle as Gloucester interim police chief John McCarthy looks on Thursday outside police headquarters in Gloucester. As a birthday wish, Mason asked for money to be sent to the police department instead of being spent on gifts. As a result, $900 was raised, which the police plan to donate to Cops For Kids With Cancer.